Stephen joins with Detective Antoinette Conway to reopen the case - beneath the watchful eye of Holly’s father, fellow detective Frank Mackey. 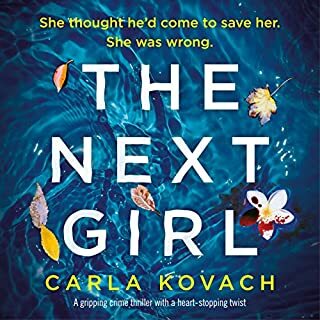 With the clues leading back to Holly’s close-knit group of friends, to their rival clique, and to the tangle of relationships that bound them all to the murdered boy, the private underworld of teenage girls turns out to be more mysterious and more dangerous than the detectives imagined. What in the world caused Ms French to think that anyone would enjoy having every other chapter in a 20 hour book comprised of the simpering, sniping of a group of adolescent Irish Valley Girl wannabes? Even the hard-to-understand breathy, little-girl voice of Lara Hutchinson couldn’t damage the grating dialogue further. Don’t get me wrong. The structure of this book is a beautiful thing. Having all the players trapped in a confined area while the detective weeds through the witnesses and suspects in an unsolved murder case, playing them against each other even as the detective is being played, is a tried and true device and was worth the effort. Fifty percent of the chapters show off Ms French’s well known talent for interpersonal interaction and dialogue, as prickly and unpopular (i.e., won’t play along with the sexual hazing game) female Detective Antoinette Conway with chip on her shoulder, and murder squad aspirant, Detective Stephen Moran are thrown together for one intense day of frustrating interrogation at an exclusive private girls’ school. For all I know, aping Valley Girl behavior is what Irish school girls are into right now. But in my opinion, it was an unfortunate distraction from what should have been and could have been (if severely edited) an important part of this story—the interaction between the students. I’m sure it will ruin the book for many. Also bogging down the story were a few irrelevant sidetracks. The mystical touches, (the lights, the spinning bottle caps) which seemed to me most likely meant to reflect psychedelic drug experiences, were neither integrated well, nor explained at all, so who really knows what they were about and should have been left out altogether. I didn’t have any trouble finishing the book, but by the end I was ready to pull out my hair. The use of the irritating dialogue might have been cute in “Clueless”, but it just trivialized French’s considerable talent. I’m hoping she does better on the next one. Totally. Wow...bad on so many levels. Hours and hours of 8 teenage girls. Dumb dialog - does anyone really say totes adorbs? And if that wasn't bad enough, the girls' characters just are not well enough developed to differentiate and 3 names start with the J sound. Twee narration. I love long books but this couldn't end soon enough. A bad surprise from an author I've enjoyed in the past. Pick any other of her books. Felt like a piece of the past! Would you consider the audio edition of The Secret Place to be better than the print version? Several times, I considered giving up the audio version to go to print. There are some beautiful passages in the book that don't come across well when read, especially by the female voice. The dialog emulates teen speak and, hello, I tote would have been down to see what that looks like in print. Aw, I'm a fan of Stephen Moran. I liked Holly very much and also Celina. What about Stephen Hogan and Lara Hutchinson ’s performance did you like? Stephen Hogan gives me the impression that he is Stephen Moran. He's very good, a great performer, and spares us the squeaky voices when he reads a woman's part. Lara Hutchinson was on the wrong side of creepy cute and that was annoying. But what a challenge, this book. She managed not to bug me too much with the teenspeak. No. Too long. But I came close. Picked up the buds at the slightest opportunity. Tana French knows these girls. And so do I. I didnt' go to a boarding school but a lot of the issues, the way they support each other and the way they destroy one another, rang many many bells. Well done. I love Tana French. I devoured her first four novels in this series. I loved each one and I recommended them to several people. This book was a complete disappointment. The story is of a murder that happened a year ago near an girls' school, and two Dublin police-people get a reason to go back to try again to solve the case. The entire book is about eight high school girls--did one of them commit the murder, and why. 90% of the content of the book is conversations between the girls and the girls and detectives. It gets tedious to the point of annoying. It was filled with squealie "OMG!!" and "Totes Amaze-Balls!!" and "Duh!!" A major part of the detectives job is to determine who had a motive, so that leads to literally hours of discussion about who had a crush on whom, and which girl doesn't like the other girl because she said her thighs were fat. There is also this underlying theme that some of the girls have slight magical powers, which just made zero sense, had no actual bearing on the story, and was never explained. I kept waiting for that to be explained, but it ended up just being another annoying distraction. The story reads like a really bad novel written for tweens. The content and dialogue were shallow, overly-simple, and embarrassingly cliche. It was like listening to a 20 hr "Keeping up with the Kardashians" marathon. 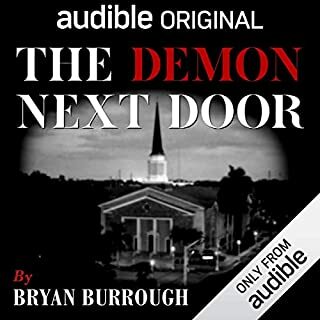 Concerning the narrators--the female narrator was great. The male narrator had a terrible time with the high school girls voices, they were bad. Luckily, he didn't speak as them very often. 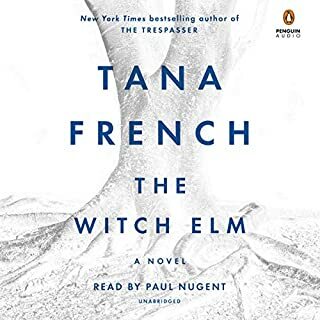 A LOT of people are still going to listen to this book no matter what I say in this review, because it's Tana French, I don't blame you, I would have too. But I feel burned by this book. I will now hesitate before I listen to another Tana French. I will certainly wait until it has been thoroughly reviewed. Tana French is by far my favorite author. I've read all her other books more times than I can count and could hardly wait any longer for her next one. Disappointed beyond belief. Lara Hutchison was simply horrible. I hated to give the performance rating two stars because Stephen Hogan was excellent, as he was in Broken Harbour. 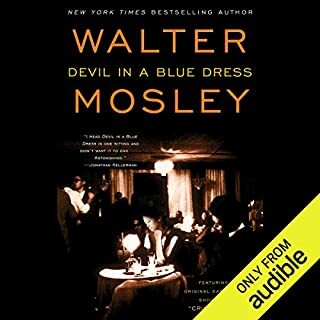 Each of French's books so far has been written in the first person and explored the narrating detective's life, thoughts, and psyche thoroughly and perfectly. Detective Moran did narrate in first person but you never got to know who he was or what he was about, and more time was spent on the ridiculous story of the girls. Although the story was bad, it was well written, as I don't think Tana French is capable of writing poorly. I hope she returns to the old theme of writing from the detective's perspective and crafting another amazing story. This wasn't it. Tana French was a favorite of mine. I can recommend all the books leading up to this one. The Secret Place was quite a departure from those previous works. The book starts and nearly concludes with eight suspects who are so similar it took hours of listening to differentiate them. If you love solving mysteries, have a pencil and paper next to you and organize the clues. Determine quickly who is in each clique, the color of each character's hair, eyes, and cellphones (yes, cellphones), and who is involved with the murder victim (more like, who wasn't). I did not do that and as a result could find no logical way to narrow down the suspects. This Secret Place reminded me of one of those old Reader's Digest puzzles: "Tim lives in a blue house and Tammy lives in a green one. The murderer lives in a Yellow house. Who is the murderer?" Forget traditional motives like love, revenge, or money. You won't figure it out that way. I recommended that you buy the Kindle edition and read it rather than listen. More than one-half of the story deals with a group of English girls who speak in a very poor version of Valley Girl vernacular. Everything is OMG and text language. The narrator, Lara Hutchinson, has a pleasant voice but reading the girls' use of language made the narrator sound like a simpering idiot. The sound was so grating I found myself tuning out. Had the book been centered on the male detective instead of the girls, it would have been pretty good. The Stephen Hogan, who narrated the two detectives, was excellent. Those portions of the book were a reprieve from the inanity of the girls.Unfortunately, Conway, the female detective, seemed to be an adult version of the St. Kilda girls. 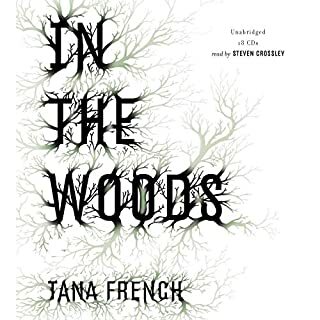 Don't overlook Tana French's other books or her next one. I hope I don't have to wait another year for that. Would you try another book from Tana French and/or Stephen Hogan and Lara Hutchinson ? female narrator AWFUL,,,,doesn't anyone "pre-screen" the narrators?? especially for the American ear??? Unique & most satisfying book !! oh, absolutely, I will certainly listen to this book again. 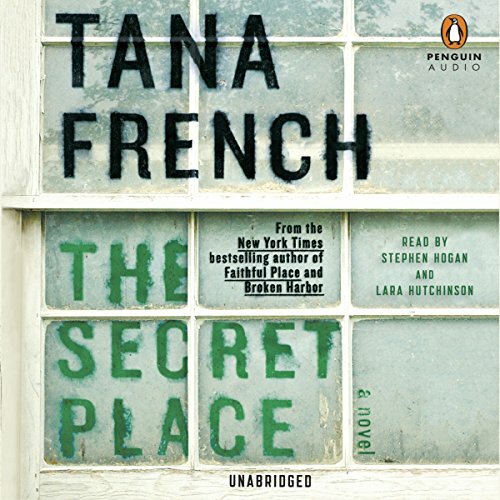 I found it a thrilling and intriguing listen and, possibly, one of the best books written by Tana French so far. It had me all the way. Tana French is possibly one of the best novelists writing today. The way she can twist and turn the English language is a delight and this book is no exception. The dialogue between the teenage proponents is fascinating and it's interesting to see the English language evolve from one generation to the next. This psychological drama illustrates how idealized things which are important to us in our youth stagnate and fall away as we become older and more cynical, things like loyalty, friendship, trust, and love. The teenage girls on one hand illustrate these ideals and the police force and Hollie's parents depict the contrast to these teenage ideals. This book is far more than a murder mystery. It is a very rich book full of ideas about the world through the young's eyes and how our world view changes as we grow older. It is beautifully written, as all Tana French's books are. Although not many of the reviews here are flattering, I, luckily, read none before I listened to this book. I hope you only read mine. Detective Stephen Moran has been brought a card relating to the death of a teenaged boy at a posh school for girls. Moran is on the Cold Case Squad, but he really wants to be on the Murder Squad and he thinks that this high profile, unsolved case may be his ticket. The former lead on the case is a woman whose partner has retired and who has some problems with the other men on the Squad so she needs a big solve. 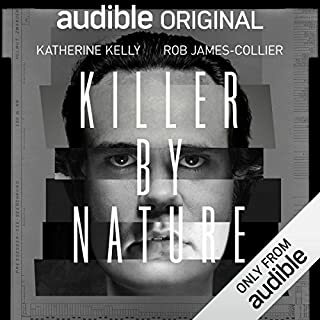 All of the current action in the case takes place within one day as Moran and Detective Conway question the girls at St. Kilda's about the death of Chris Harper. However this investigation is interleaved with the back story of the months leading up to Harper's death. This is one of my favorite types of genre novels. It can be read as a straight mystery with pleasure-- French also provides a satisfying conclusion (which she hasn't always done in the past) although all of the events that happen to the girls at St. Kilda's are not given a rational explanation. However, the book is enriched with references to both classical and christian mythology. Further there is a Appollonian versus Dionysian tension that has made me ruminate about the plot and characters even after I reached the end. Th e performance was pitch perfect with two excellent readers. I bounced between a 4 and a 5 on this book but finally settled on a five. It problems should be 4 1/2 but we don't get to give half stars. There was one section near the end that I though could have been shortened but the narrators pulled it through. The Secret Place started slow, built up a good head of steam and then cruised to a quiet climax. I enjoyed the book because of Tana French's wonderful writing but found the setting of the girls school a bit jarring. I found myself longing for the characters of past Dublin Murder Squad books. All in all a decent read but lacking the verve of other Tana French books. Sadly it will probably be two more years before another will be forthcoming.